Every day local government leaders are making tough decisions on how to best serve their residents. Increasingly, cities and counties are placing data and evidence at the center of their decision-making to achieve the best outcomes with scarce taxpayer resources. As part of the “Invest in What Works Policy Series,” Results for America is showcasing some of the best examples of strategies by local governments to use data and evidence to drive budget and policy decisions that help address major concerns in their communities. 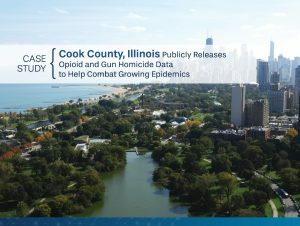 These case studies highlight some of the work of RFA’s Local Government Fellows, who are developing research partnerships with academic institutions, sharing best practices and demonstration projects, and participating in a national network that is helping to advance data-driven and evidence-based policymaking. Upon entering office on December 1, 2017, Albuquerque Mayor Tim Keller knew he wanted to use the city government’s purchasing power as part of his economic development strategy in an effort to help boost the local economy. 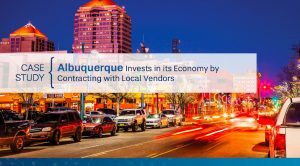 An analysis of city procurement indicated that an estimated $150 million to $300 million is spent annually by Albuquerque city government to purchase goods and services. Of that amount, at least 40% of funds were spent on non-local vendor contracts in 2017. As a result, the Keller Administration sought to develop strategies to maximize taxpayer dollars circulating in the local economy by contracting with local vendors. 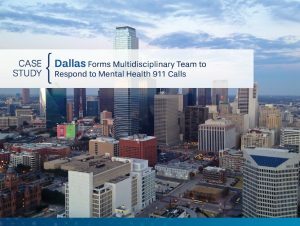 In the City of Dallas, in recent years, there has been an increasing number of 911 calls from people who require mental health assistance. Traditionally, the response has been to transport these people to local emergency departments or, if medically stable, arrest and book them in the Dallas County Jail, where they can receive psychiatric services. Between 2012 and 2015, the number of 911 mental health calls requiring an ambulance response increased by 59% (from 2,176 to 3,452 calls). The South Central Dallas Patrol District saw the bulk of that increase during 2012 and 2015 – from 382 to 706 calls, the equivalent of an 85% spike. In 2014, Mayor Bill de Blasio entered office with inequality as the defining core of his agenda. Across the new administration, New York City agencies organized with this priority in mind. 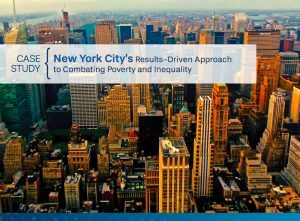 New York City’s Center for Economic Opportunity (CEO), established under Mayor Mike Bloomberg in 2006 as the first municipal innovation lab in the United States, was initially charged with launching and evaluating new anti-poverty pilot programs to identify effective solutions; its mandate also included constructing superior methodologies for accurately measuring poverty. With an entire administration oriented to consider economic disparities, New York City now needed to consider how CEO could evolve. In recent years, Salt Lake County has been seeking strategies to better help residents with criminal records expand their employment opportunities. Persons with criminal records face significant barriers to employment: they are 50% less likely to be called for an interview according to the National Reentry Resource Center. 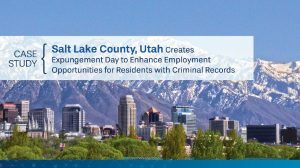 The Salt Lake County Mayor’s Office and the Salt Lake County Criminal Justice Advisory Council (CJAC) set out to help eligible individuals expunge their criminal records. The Seattle Animal Shelter was experiencing a leveling off in the number of pet licenses and renewals in recent years. Data indicated that roughly 3,000 pet licenses were expiring every month, and even after accounting for the move out rate of residents, only 60% of licenses were being renewed. Pet licensing is required by the Seattle Municipal Code and the money generated from pet licenses accounts for nearly $1.5 million in annual revenue, all of which goes directly to fund the Seattle Animal Shelter. 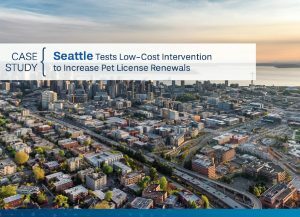 Seattle Animal Shelter staff sought to increase renewals of pet licenses across Seattle to ensure compliance and help fund their critical operations. Washington, DC’s Fire and Emergency Medical Services Department (DCFEMS) has one of the highest per capita rate of 911 calls for emergency medical services in the United States. Yet approximately one out of every four 911 calls are for situations that do not require Emergency Medical Services (EMS) care; instead, they require primary care or urgent care services. Historically, DCFEMS has provided all 911 callers who present medical needs with the same response – an EMS team visits the person and, in most cases, transports them to the nearest hospital for admission. 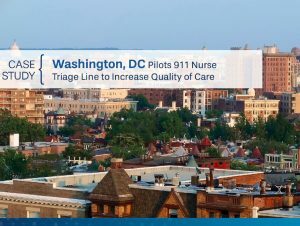 However, the high demand for EMS services in the nation’s capital was resulting in an EMS ambulance shortage. 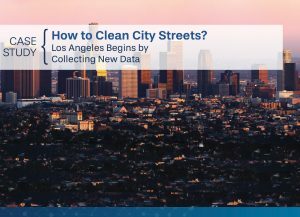 Los Angeles residents consider clean streets and alleys to be among the fundamental responsibilities of their city government. However, in recent years, Los Angeles had not met its residents’ expectations for street and alley cleanliness. The City received growing numbers of complaints from residents concerned about excessive litter, illegal dumping, and other trash, especially in neighborhoods with predominantly low income and minority residents. 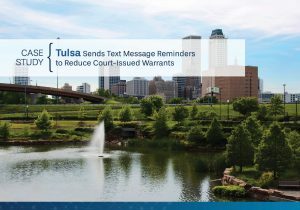 In the City of Tulsa, Oklahoma the Municipal Court issues approximately 22,000 extensions to unpaid court fines – called Time Pay Orders – per year. The Time Pay Order system was originally designed to give residents an additional one- to six-month extension to submit their payments for court fees at the conclusion of a criminal case. Despite the extension, over 70% – or 16,000 – of the issued Time to Pay Orders result in a failure-to-pay warrant each year. Failure to pay often results in suspended driver’s licenses, accrual of additional fines, and further involvement in the criminal justice system. In addition, unpaid Time Pay Orders also result in more than $500,000 each year in unpaid fines. 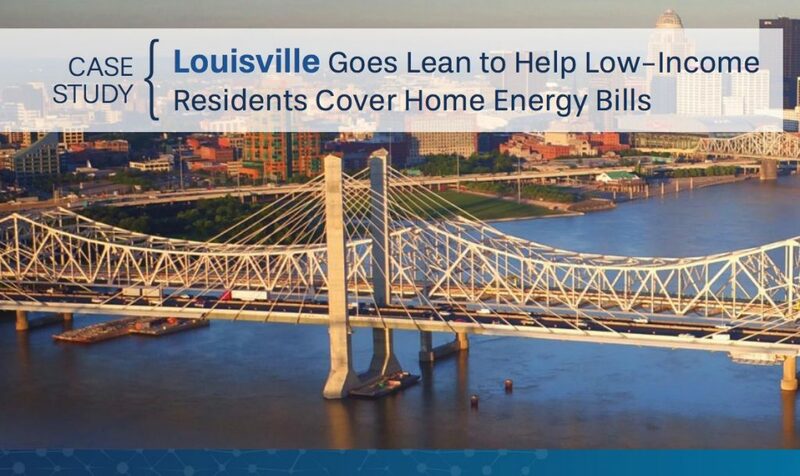 Louisville residents living at or below 130% of the federal poverty line rely on the Low-Income Home Energy Assistance Program (LIHEAP) to help cover costly home energy bills each year. However, the local LIHEAP application process was inefficient and time consuming, requiring residents to make multiple in-person visits and wait in long lines to complete their applications. The application process was inefficient for Louisville government staff as well, leaving them too little time to serve all eligible clients and award all available local LIHEAP funds. Montgomery County, Maryland has experienced a steady increase in 911 calls for emergency medical services (EMS) in recent years. 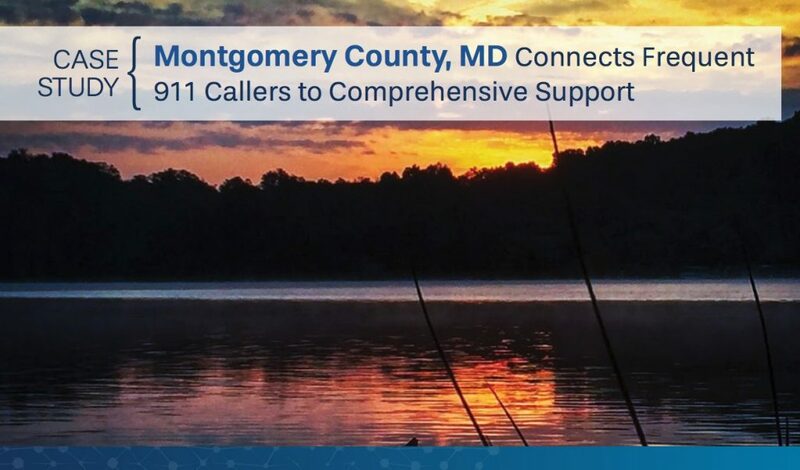 Among the nearly 84,000 calls to 911 for EMS in Montgomery County in 2013, the 100 most frequent callers were responsible for 3% (over 2,500 calls) of the call load. These residents were usually experiencing non-emergency events that often stemmed from behavioral health issues, substance abuse challenges, chronic illnesses, or a combination of these factors. They also often lacked knowledge of the non-emergency resources available to them. King County created the Best Starts for Kids initiative, which, among other things, introduced an entirely new way for the government to structure contracts and do business with human services providers. 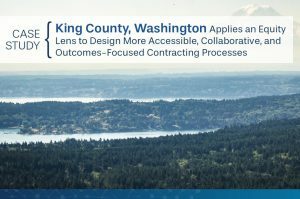 The County made their contracting process more accessible to community-based organizations that work with underserved residents. New contracting practices also promoted outcomes-focused, preventive, and early intervention services based on rigorous evidence of impact, while simultaneously allowing the County to test and build evidence for innovative and community-based approaches. 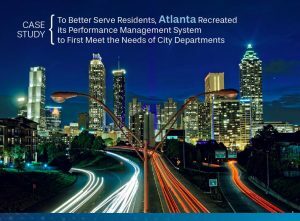 Former Atlanta Mayor Kasim Reed’s Office of Innovation Delivery and Performance reinstituted and reimagined the city’s performance management system in late 2012. The City placed departmental staff at the center of the effort and focused foremost on how data collection and review could help city staff better deliver services and respond to the needs of residents. This unique approach was in stark contrast to traditional performance management systems, which focus on first serving the needs of the Mayor and government agency leaders. 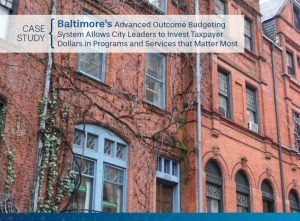 The City of Baltimore developed an advanced outcome budgeting system in 2010 to focus resources on the most effective and promising services and programs to meet the City’s priority needs, based on performance data and evidence of impact. 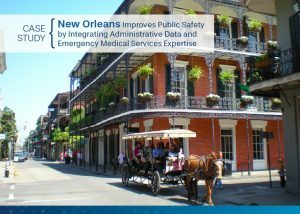 The New Orleans Mayor’s Office of Performance and Accountability used advanced analytics, open source software, and a partnership with Louisiana State University (LSU) students to integrate the City’s administrative data with the operational expertise of New Orleans EMS staff to decrease overall EMS response times and provide equitable service to all neighborhoods. In April 2016, the Philadelphia Mayor’s Office jointly created a collaborative team called the Philadelphia Behavioral Science Initiative with academic researchers. First, Philadelphia city staff identify enrollment and usage challenges within city programs and services. Then, the team connects department staff with suitable academic research partners to identify key service touch points and develop behavioral science-based evaluations. 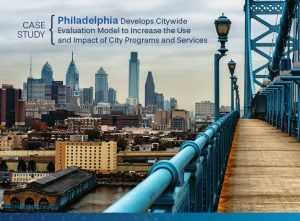 Finally, the evaluation findings help determine how to engage city residents in these programs and services more effectively and efficiently.